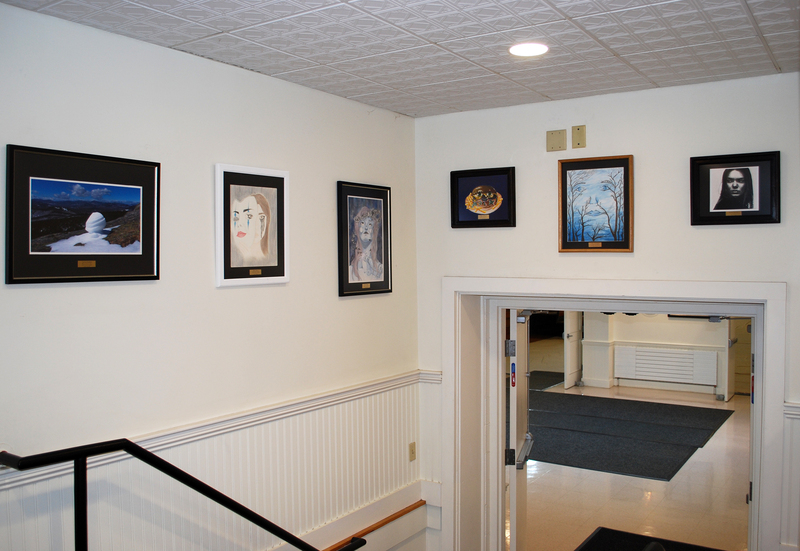 Several pieces of artwork donated to the CBNA Permanent Art Collection by members of the Class of 2017 hang in the main foyer of Pinkham Hall at CBNA. 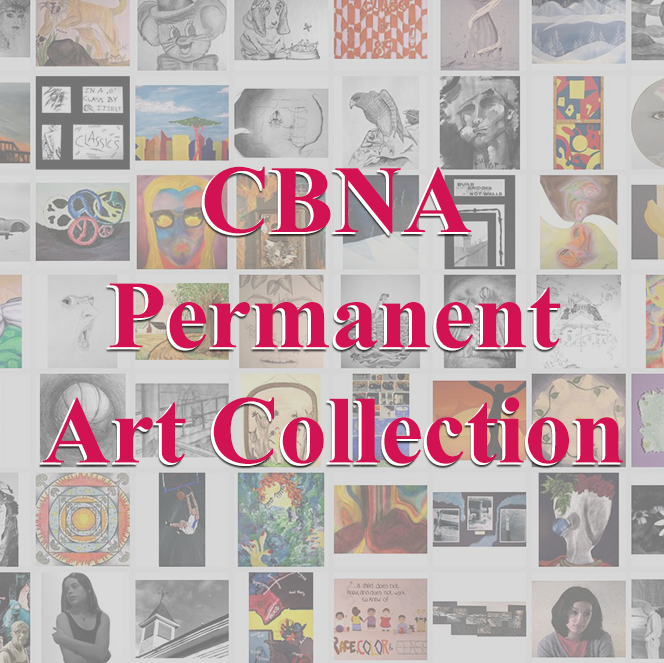 Coe-Brown Northwood Academy is proud to announce that fourteen members of the Class of 2017 have had their artwork added to the CBNA Permanent Art Collection. Each year, senior students who have completed a prescribed course of visual arts study are invited to donate one piece of their two-dimensional artworks to the school’s collection. The works by the following CBNA members of the Class of 2017 were displayed as a group exhibition during the summer at Barrington Family Practice and Walk-in Care and have returned to CBNA and are on display in the upper foyer area in Pinkham Hall for 2017-2018 school year. During the summer exhibit in Barrington, a special opportunity allowed patrons of the Family Practice to cast their vote for their favorite piece. Jennifer, Office Manager announced that Brielle MacLeod’s scratchboard drawing – k was the recipient of a $100 Visa gift card for receiving the most “people’s choice” votes throughout the June to September exhibit. In honor of the 150th year of CBNA, the art department is pleased to announce additional special class exhibitions from the permanent art collection. The class of 2016 is on display in the new lower conference room adjacent to the Library and the class of 2015 is on display in the Guidance Conference room, all will be on display for the remainder of the school year. A total of 302 pieces have now been installed since the collection started with the class of 1987. Congratulations recent graduates!